If you need any help in publicising your grant or your funded project, please get in touch. How should I acknowledge my grant from Norfolk Community Foundation? We will provide you with a logo for NCF at the point your grant is paid. We would like you to use the logo on all the materials relevant to your funded project – that may be in print, on your website or on social media. You can also download copies from the links to the right – a high resolution copy to be used in print, and a web friendly version to use online. 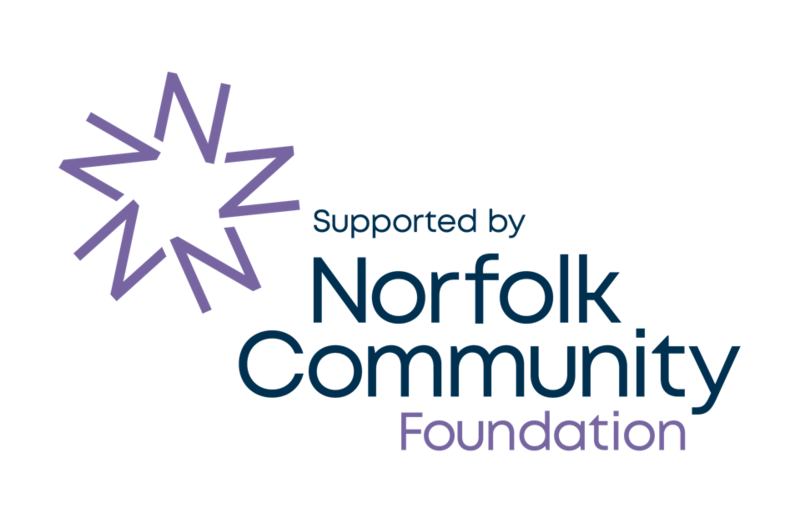 You may also receive a logo from the Fund that provided your grant – please use this alongside NCF’s logo to acknowledge your grant. Depending on your project, we may be able to provide a plaque to show our support – this will be supplied to you if appropriate. How can I go about publicising my grant? We would like you to acknowledge both NCF and Fund that provided your grant in any publicity. Eg. [Name of Fund] through Norfolk Community Foundation. The full details of the Fund that awarded your grant are in your offer pack, or contact us to confirm. You may have opportunities locally to shout about your funding – local newspapers and parish magazines can be good ways to get the word out. A short and simple press release is all you need – if you have good photo it can help to get interest in your story. You can download a template press release here using the link to the right to personalise with your project details. If you need any additional support we will be happy to help. Social media is a great, easy way to promote your work.